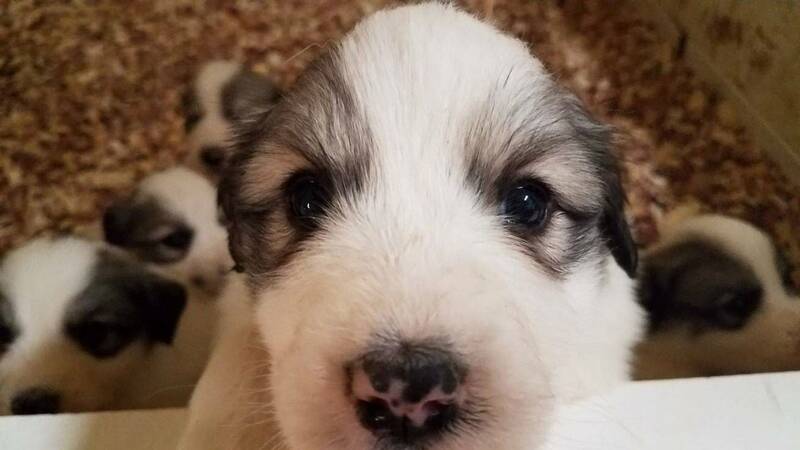 Hi, I'm puppy. Who are you? 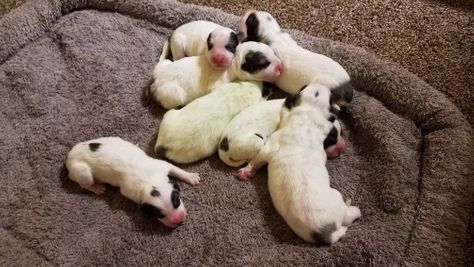 Rachel's Litter...born May 14, 2018...5 Boys / 2 Girls! Hi. I'm cute. Take me home. 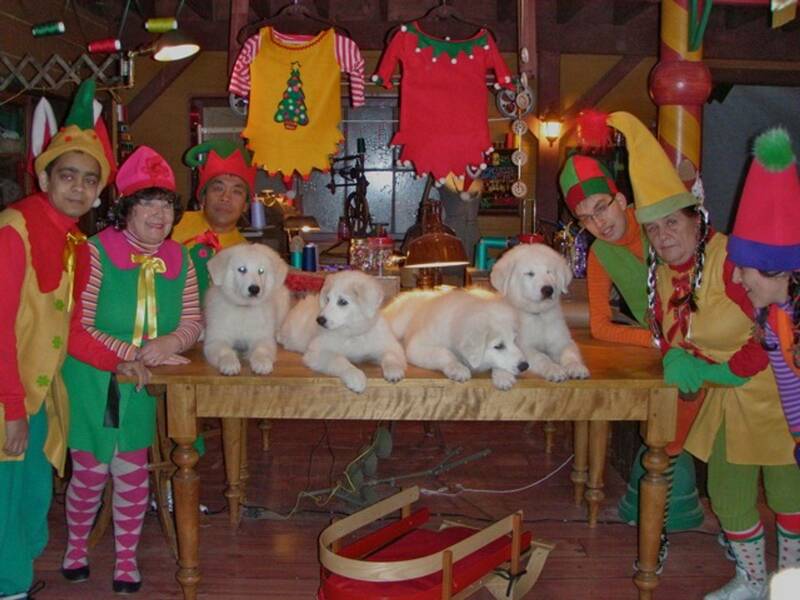 Four of our pups in Disney's "Santa Paws 2: The Santa Pups"...backstage with the cast! 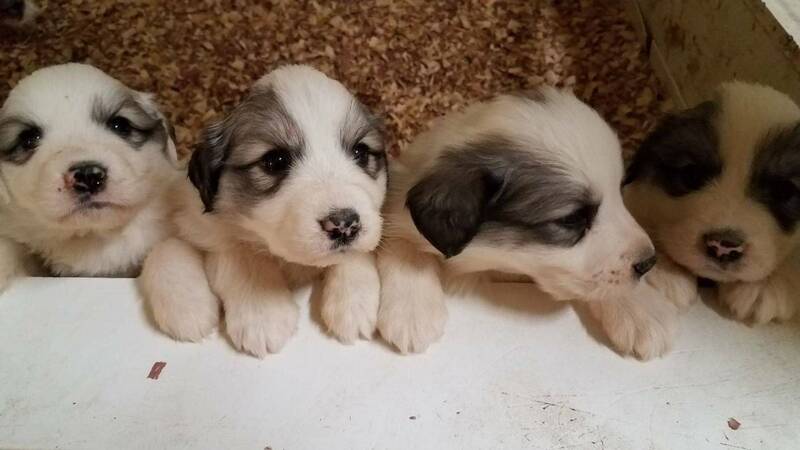 Puppies will be available to go to their new homes Sat 7/20! Thank you for visiting our family farm...we're thrilled you found us on the web and are taking a moment to visit with us. 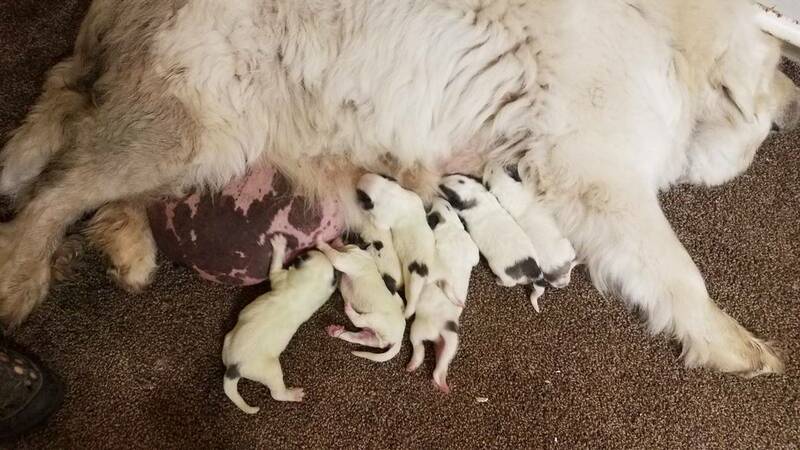 We enjoy taking care of God's creatures, big and small, and are blessed as a family to raise what we feel is the best dog on earth, the Great Pyrenees. They are not only incredible guard dogs, guarding our family and flocks, but also gentle giants who are part of our family. 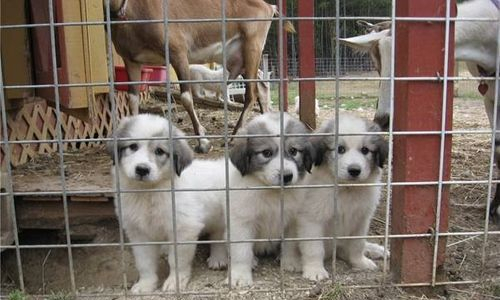 Whether you are looking for a loving family addition, livestock guardian dog, or even Disney movie stars, our pups will be a blessing to your life. We hope our website helps you learn more about this wonderful breed. 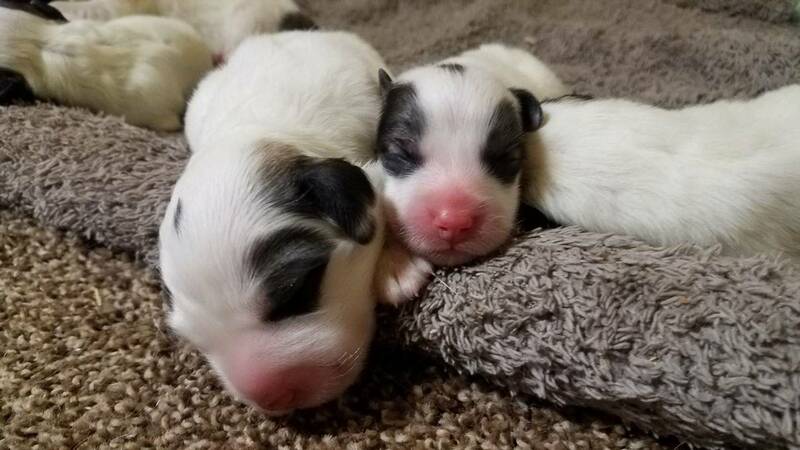 We love and care for our animals, and our goal here at Rehoboth is to place a well-loved, well-socialized, beautiful, healthy puppy into your home! Our dogs were hired by Disney for their movie, "Santa Paws 2: The Santa Pups"! 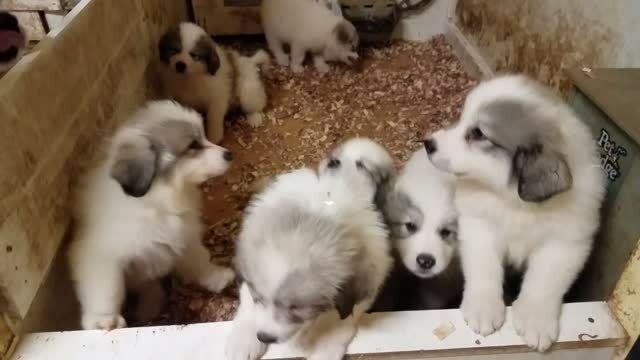 Four of our pups from Samson and Eva's litter from Fall 2011 flew out to sunny Southern California for two months of training, and then on to Chilly Canada for six weeks of filming! We are excited to now have movie stars here at Rehoboth Farms of North Carolina! We are so proud of our dogs and what a great honor. The DVD came out November 2012! Order the copy of your movie today! See our Disney Movie Stars page for pix of our pups on the Disney movie set! Please fill out our Contact Us form for the most timely response. Use PayPal, a safe and secure online payment method, to pay for your puppy and other related costs. They accept ALL MAJOR CREDIT CARDS. Our pups are the stars!